The Mercedes CLS-Class Shooting Brake is an estate version of the second generation version of the CLS four-door coupe and it sold between 2015 and 2017. 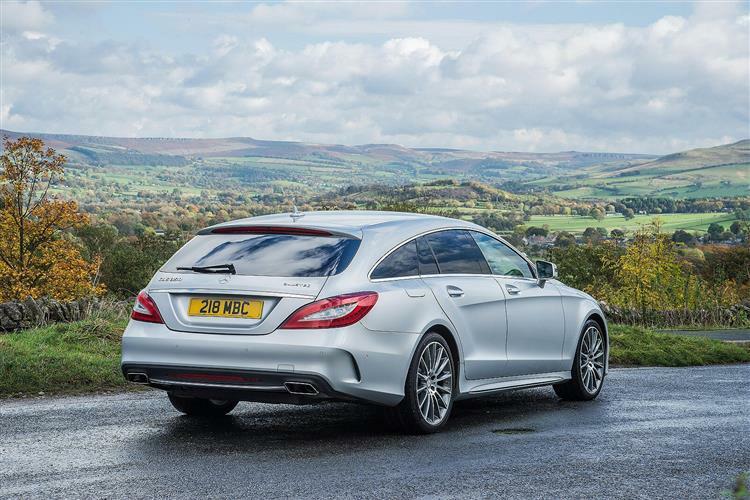 A stylish combination of form and function, it's a more sporting, coupe-like take on the station wagon theme that delivers discreetly rewarding driving dynamics, a beautifully finished cabin and, perhaps most importantly of all, a level of practicality that CLS-owners might not expect. Something they wouldn't have wanted had that versatility diluted the style that sets this car apart. But it hasn't. Let's check this model out as a used buy. The Shooting Brake. Isn't that just another word for an 'estate car'? Well no, not really. A Shooting Brake, in contrast, is more of an occasional and much more stylised load-lugger, loved by sportsman - and especially shooting parties (hence the name) - from the 1950s and 1960s, particularly here in Britain. A kind of 'estate coupe' if you like, which is why virtually 'shooting brake' designs up to this point have had only three doors. Princess Anne's Reliant Scimitar GTE from the Seventies was one of these, with similar cars like the Lancia Beta HPE, the Jaguar XJS Lynx Eventer and the Volvo 1800ES dating from the same era. In more recent times, the 'Shooting Brake' concept has made a comeback with designs like Ferrari's FF. But can it work with five doors as well as three? 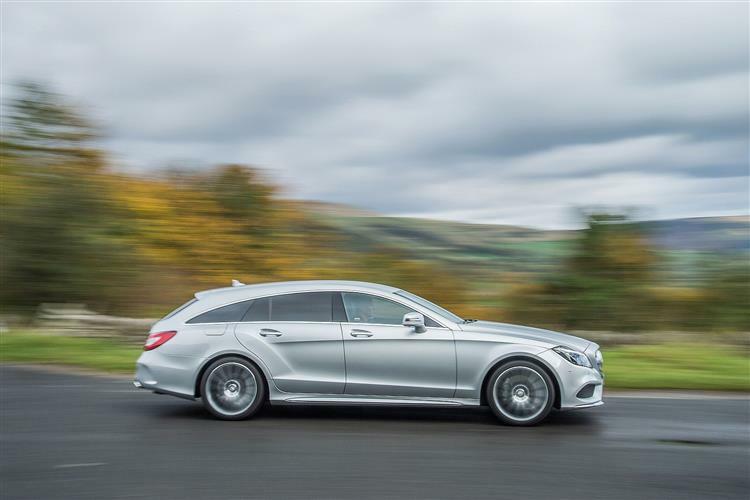 Back in 2015, Mercedes reckoned so and to make sure that potential buyers were aware of the fact, christened the estate derivative of the MK2 version of their executive CLS-Class model with the 'Shooting Brake' title. Though the name conjures up images of pheasant shooting and country pursuits, the reality is a car that aims to be something a lot more down to earth: an estate car for people who don't like estates. This five-door 'Shooting Brake' derivative sold alongside the existing four-door coupe between 2015 and 2017, but wasn't replaced when the third generation CLS was launched in 2018. Is this really some kind of sportscar? You could almost believe it. Like all MK2 era CLS-Class models, this Shooting Brake model's front end is modelled on that used in the SLS AMG supercar and is dominated by LED High Performance Headlamps, each fitted with no fewer than 71 jewel-like bulbs that twinkle at you at night as you pause to admire this futuristic shape in your driveway, from each angle sensing something different from the designer's pen. True, it won't be to everyone's taste but then, this isn't a car designed for everyone. Just a lucky few. At the side, the uninterrupted arc of the upper window line really does offer something of a coupe-like feel, despite all those doors. 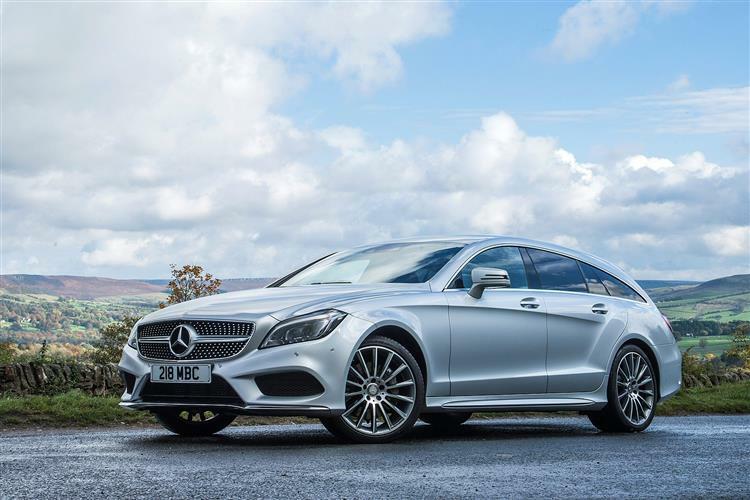 Under the skin, as with all second generation CLS models, many of the panels are crafted from aluminium, not just to copy the rival Audi A7 but primarily to achieve the efficiency targets that make this car so surprisingly affordable to run. Significant in their contribution here were the frameless aluminium doors, which save a full 24kgs over the steel-crafted rear portals offered in a comparable Mercedes E-Class from this era, allowing them to be opened and closed more easily, especially on an incline. At around 5m in length, this car is 16mm longer than a normal MK2 CLS four-door, but the really important difference is the way that this extension prolongs the height of the roofline to make this Shooting Brake a more comfortable proposition for rear seat passengers. In an ordinary MK2 CLS, taller back seat passengers have, to some extent at least, to pay the price for the coupe-style looks. That's less the case here. Even six-footers will be very comfortable. Provided they're not required to sit in the middle. 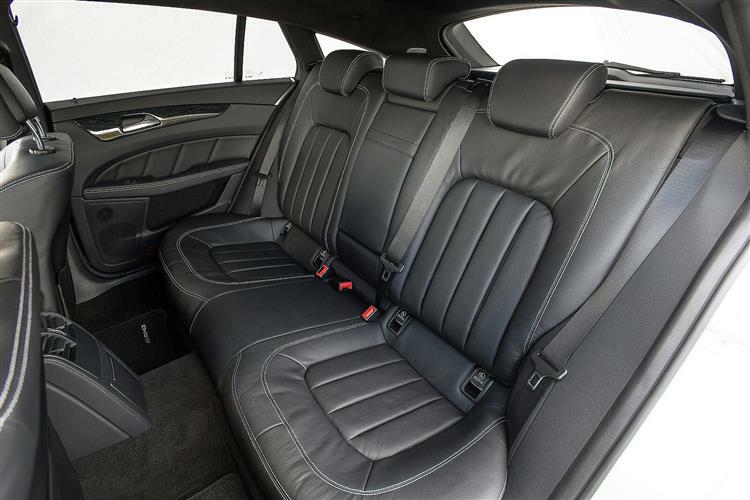 Still, at least you can sit in the middle, something impossible in a four-door MK2 CLS where the two outer rear seats are separated by a veneered storage compartment, something which was common to all CLS-Class models before the launch of this Shooting Brake, making them inaccessible to family buyers. Here at last was one in which three children could be accommodated, though the middle part of the rear bench isn't the most comfortable perch. As with all cars in this segment, the back seat is styled to prioritise the comfort of just two people. Of course the other benefit conferred by that increased body length is an increased luggage bay, something you access via a standard-fit powered tailgate which glides upwards to reveal a hefty 590-litre luggage compartment that's the largest in the class. It's a versatile space too if you get a car whose original owner specified the optional Easy-Pack load securing system, which came with a protection plate to stop the rear loading sill from getting scratched. As an expensive option, original buyers could specify a designo hand-crafted American Cherry Wood luggage area floor, modelled on the kind of finish you find on a millionaire's Riva speed boat. 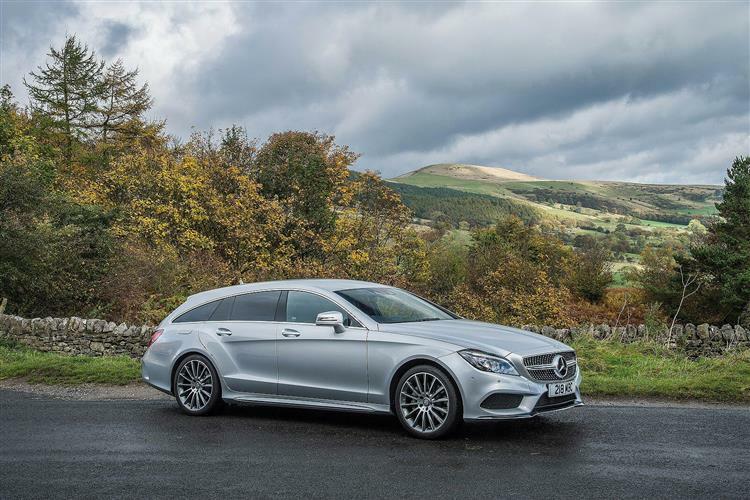 This though, would rather limit your use of the versatility that ought to be one of the prime reasons for choosing this Shooting Brake bodystyle in the first place. And it is versatile. After all, push forward the 60/40 split folding rear backrest and up to 1,550-litres of luggage room is revealed, around 10% more than you'd get in an Audi A7 Sportback and about 20% more than in, say, a rival Porsche Panamera. And at the wheel? Well it's very grand indeed. From the immaculately hand-stitched leather dash top to the centre analogue clock borrowed from the S-Class and the matt-silver inlays around the air vents, everything in the wrap-around cockpit is all beautifully crafted - a very high end place to be. And fantastically comfortable too, even if you don't get a car fitted out with the sumptuous Dynamic Multicontour seats with their inbuilt massage function. 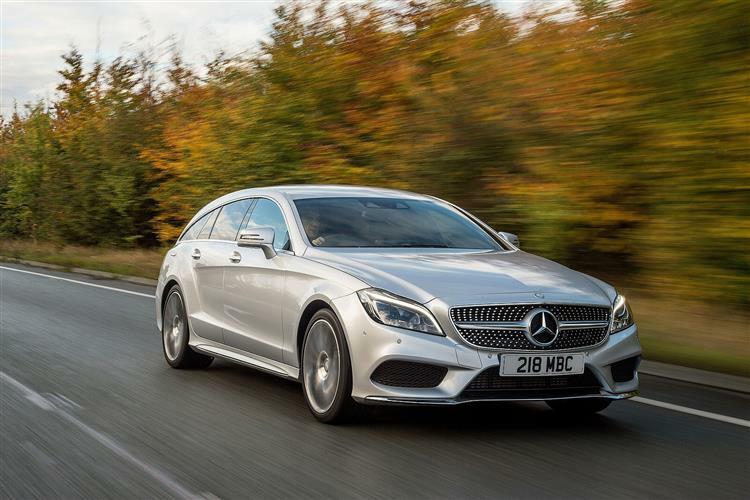 (approx based on a 2015 CLS Shooting Brake 220 BlueTEC - Ex Vat) An air filter costs around £30-£38, an oil filter costs in the £6 to £11 bracket and a fuel filter costs around £20, though you could pay up to £82 for a pricier brand. Front brake pads sit in the £30 to £70 bracket for a set, while rear brake pads cost around £27-£44 for a set. Rear brake discs can cost as little as £54-£88. You'll pay around £205 for a front brake calliper and in the £315 bracket for a rear lamp. Wiper blades cost around around £10. If you come to this Mercedes expecting it to feel like a big executive estate car, then you'll be pleasantly surprised. As you should be. After all, the whole point of a 'Shooting Brake' is the delivery of sports coupe driving dynamics with extra carriage space. If the car in question doesn't manage that, then all it really is a sleekly styled estate car - like, say, a Jaguar XF Sportbrake or a BMW 5 Series Touring. To live up to its name, this CLS really has to offer a little more than that out on the road. And fortunately, it does. The low-set driving position suggests that, with a high fascia and an equally high waistline sweeping round to cocoon you in a luxurious but very focused cockpit. Show the car a corner and you'll appreciate steering that's direct and surprisingly incisive - very different from that of a comparable E-Class. Yes, there's body roll but you can't completely eliminate that on a car this big. What matters though is that this rear wheel drive Mercedes feels very agile for such a large vehicle, with impressive levels of grip - which is just as well given that unlike its two key competitors, BMW's 5 Series Gran Turismo and Audi's A7 Sportback, this car's chassis hasn't been developed to accept 4WD. Unlike those two cars, you don't get a wide range of petrol powerplants either, but that'll matter little as most buyers in the executive segment don't want them. 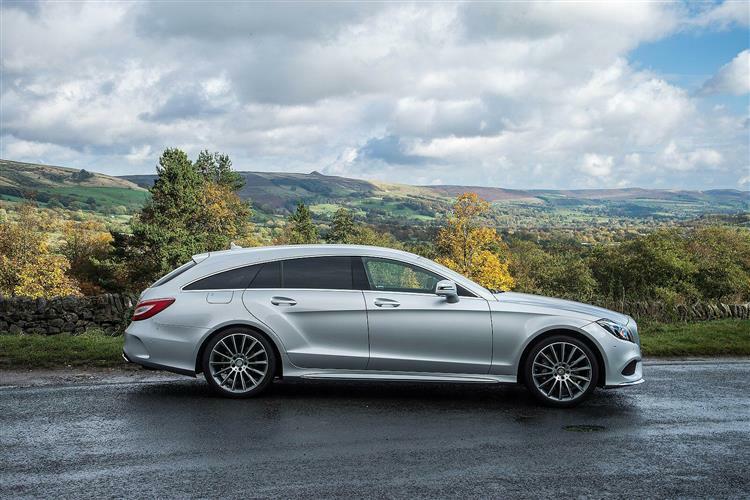 Instead, the Shooting Brake range is built around the same two key diesel units fitted to most CLS-Class four-doors - a four cylinder 204bhp 250 CDI and a V6 265bhp 350 CDI. It's the larger of the two units we'd recommend. With the V6, pulling power is that much greater - 620 rather than 500Nm - which is important when you're dragging along almost two tonnes. Sixty two mph from rest here takes 6.6s, rather than 7.8s, and the top speed rises from 146 to 155mph. The V6 was also the only Shooting Brake variant that offered the option of the all-round AirMATIC air suspension set-up that automatically hugs the car a little closer to the tarmac for high speed work. More importantly, with full AirMATIC, you've got a set-up that can adjust itself to the way the car's being driven, reducing body roll if you're at speed on a twisty road but softening up the suspension and lowering the body if it senses you're racking up the motorway mileage that really represents this car's comfort zone. In 'Comfort' mode, it'll waft you along as if on a magic carpet: switch to 'Sport' and there's still a supple ride but suddenly it's matched to a sharp set of responses. 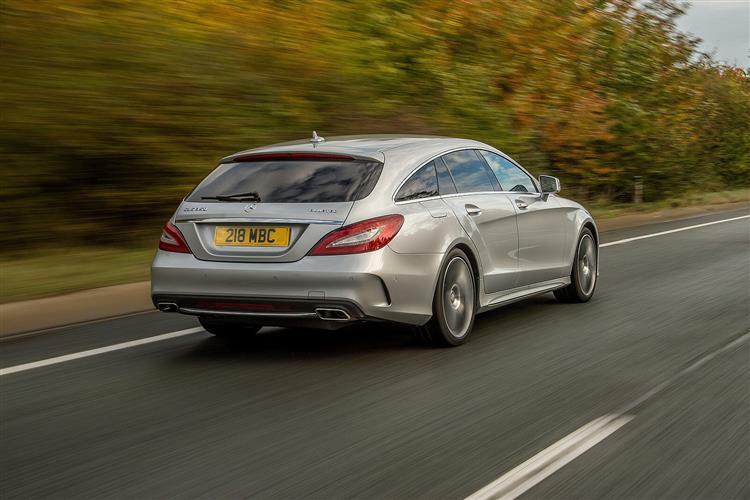 Mind you, all Shooting Brake models ride pretty well, thanks in no small part to the fact that all are at least partly air-sprung, Mercedes having added a self-levelling AirMATIC system at the rear right across the range to cater for the unlikely scenario of this car being saddled with a heavy load. The flagship model in the range, the only one with petrol power, the 557bhp 63 AMG variant, which has 800Nm of torque and can be specced to go as fast as 186mph, has its own sportier suspension settings. Original buyers of lesser diesel versions could pretty much replicate these by opting to equip them with an 'AMG Sport' package that also included more responsive brakes and steering wheel paddle shifters for the silky-smooth 7G-TRONIC auto gearbox. When the weather turns nasty, you'll appreciate all manner of electronic cleverness. The way, for example, that the brake discs wipe themselves dry when you activate the windscreen wipers, so they'll be super-effective when you need them. Or the way the car help find you a parking bay, then automatically steer you into it - a real boon given the slightly restricted view out you get with the high waistline. But that's just the start. Depending on the spec you end up with, this CLS can see in the dark, read and display speed limit signs as you pass them, stop drowsy drivers from drifting out of lane, warn you of a car in your overtaking blind spot and autonomously brake to avoid a collision. But it's the LED High Performance headlamp system that we like most. Not only can it automatically dip your full beam for you at night to help with oncoming traffic but it can even sense the car in front and dip the minimum to avoid dazzle. Then as you draw near, the beam will move towards the centre of the road to help illuminate your overtaking path. Cleverness that really works. 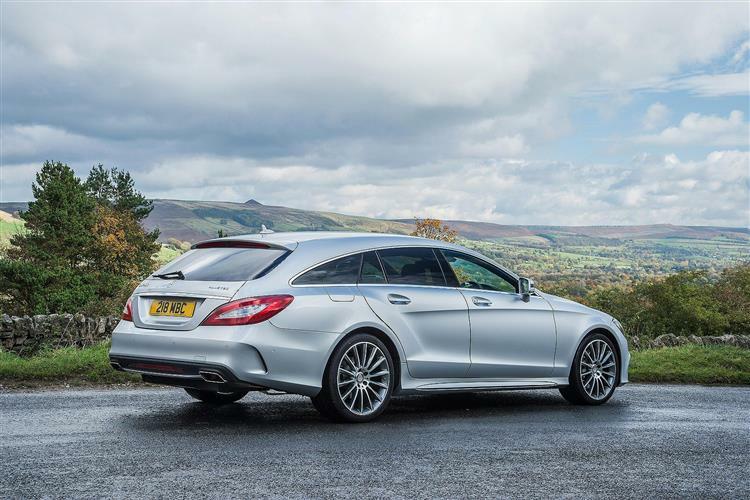 If you always liked the idea of a Mercedes CLS-Class but always thought it would require too many practical compromises, then this Shooting Brake version may well be your ideal car. It'll fit into the way you live, rather than obliging you to create a lifestyle that suits it. But it'll still offer up a unique driveway statement in the way that a CLS has always done. In fact, arguably a more distinctive one. The name may be a nod to past hunting wagons of the landed gentry but the concept is very much of our time: a large estate that doesn't drive like one, that's exquisitely finished, practically configured and affordable to run, if not to buy in the first place. It is very much, as we said at the beginning, the estate for people who wouldn't normally buy such a thing. And that makes it a very special car indeed.